This is for our readers in Nigeria who really needs information on how to browse, surf and work online with their Airtel Sim or line using a 4GB data bundle on their computer, Iphone, Androids and other smart phones at 1500. Many people might have been wasting money trying to get a 4GB internet data plan from Airtel but lacks information on how to do that. 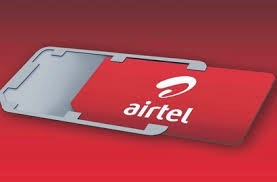 Now, there are two 4gb data plan from Airtel which includes the Airtel 1+1 data plan for blackberry and Airtel 4GB for Modems, Androids and other smart phone users at 1500 .Your Airtel Sim or line may not qualify for the two at a time but you can always check if any one is available for your own Sim. You can subscribe for the Airtel 4GB Data bundle for Android and PC plan at N2000 simply recharging your phone with N2000 and dialing this code *437*1# your get your line credited with 4gb data plan. Eligibilty Status : You can check if your Eligible for this plan simply by dialing the code above without having money on your phone. If you get this message, sorry you have insufficient fund for this, it means your line is eligible but if you get "sorry, you are not eligible for this plan" then your are not qualify for it. You can also get this done simply by checking the eligibility status first in order not to lose money. You can do this by dialing *440*161# If you get a message stating you have insufficient credit, then you can but if otherwise, you are not qualify for it.